My wife loves Kurt Vonnegut, and I suspect I would too if I spent more time reading him. What little of him I’ve read I’ve enjoyed immensely; his short story “Harrison Bergeron” simultaneously made me both want to take up my pen to write something myself and set my pen down and never try to write anything again, because it was that scary and bloody good. Vonnegut was, by his own admission, not at all conventionally religious, though he loved to say iconoclastic things for an atheist, agnostic, or whatever he was exactly, such as: music was all the evidence he needed to believe in God. For such reasons he really is a delight to read. “I am a humanist,” he said, “which means, in part, that I have tried to behave decently without any expectation of rewards or punishments after I'm dead.” His characterization of humanism is that it’s distinguished by two things: a willingness to behave decently, and no hope for a reward. I’m sure there are other accounts of what constitutes humanism, perfectly consistent with religious conviction. Flannery O’Connor, a devout Catholic, is often identified as an example of a Christian humanist; Erasmus another. At any rate, orthodox Christians of pretty much any stripe will affirm that hope for a heavenly reward is misguided, since salvation isn’t something earned or deserved. If we got what we deserve, their idea is, it wouldn’t be pretty. So there’s a sense in which secular folks and many traditionally religious folks can agree that doing good shouldn’t be done for a reward or to avoid a punishment. Ethicists would suggest that this goes to show that Vonnegut seemed to have an appreciation for doing things for their own sakes—for reasons more intrinsic to those actions than instrumental, like rewards or punishments. 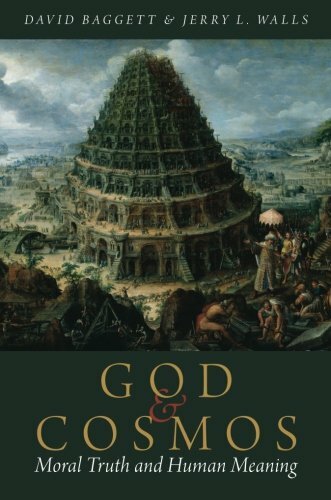 I suspect atheists have the capacity to recognize intrinsic goods like love and friendship just as well as theists can—and I’ve argued to this effect, despite another conviction of mine, namely, that their worldview can’t sustain an account of why such intrinsic goods obtain in the first place as effectively as theism can. But I don’t think anyone has to believe in God to apprehend the goodness and value of people and relationships. The issue I’d like to consider a bit more in depth is this matter of rewards and punishments—or more broadly, the connection if any between morality and happiness. I suspect that, if this life is all there is, there are likely many instances where there’s a lack of correspondence between these. Henry Sidgwick, a 19th century ethicist, actually dubbed the disconnect between happiness and ethics the “dualism of the practical reason,” and considered it the biggest challenge ethicists had to face. He thought theism could solve it, but he wasn’t a theist, so he thought ethics irremediably saddled with the challenge. Immanuel Kant, before Sidgwick, saw that full rational commitment to morality required belief in ultimate resonance between holiness or virtue and happiness, and he used this as a way to argue for an afterlife, since he thought it obvious that we don’t see this correspondence in this life. Whenever the issue of this connection between happiness and holiness comes up, though, it smacks some of the mercenary—as if it shows that, down deep, what’s motivating the ostensibly moral behavior is self-interest and something prudential, rather than something genuinely ethical and other-regarding. A crass works righteousness model of soteriology, for example, would seem to be susceptible to this sort of criticism. But as mentioned, Christian theology classically understood doesn’t seem so obviously vulnerable to it. 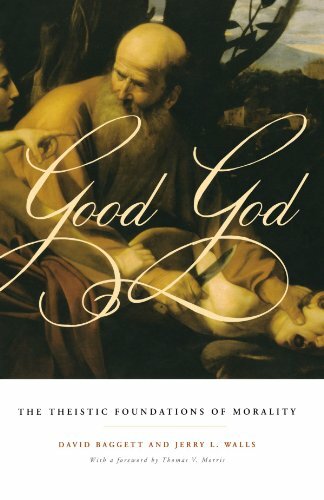 Good works are certainly important, on the model of classical Christian thought, but more as a reflection of a pre-existing state of justification rather than as a means to procure it. The bigger question for now is this one: Is it reasonable to believe in an ultimate correspondence between holiness and happiness? In a universe that makes sense, should we expect such correspondence? Remember that Vonnegut’s worldview was such that, though he valued hard thinking, he didn’t exactly always suspect it to yield fruit. Recall this line from one of his books: “You are pooped and demoralized. Why wouldn't you be? Of course it is exhausting, having to reason all the time in a universe which wasn't meant to be reasonable.” See the comparison and contrast here between Vonnegut and Kant? Both would say do things for the right reasons, without hope of reward—but whereas Kant thought full rational commitment to morality required a universe that made sense and ultimately made happiness and holiness perfectly cohere, Vonnegut (maybe anyway—if that line adduced reflects his own convictions) simply wasn’t so sure the universe did make sense. Perhaps he considered it all the more heroic to be committed to morality despite the lack of confidence that all would come out well in the end. Atheist John Shook argues similarly: “The naturalist may not know how it all will turn out, but the naturalist can reasonably want morality to prevail right here and now. Helping the needy, promoting peace, and protecting the weak are always morally meaningful, regardless of what may happen tomorrow.” I have to confess that I find something about this to be compelling, despite my conviction that he is also wrong in an important sense. There is, undeniably, a case to be made for the heroic choice of morality in the face of potential defeat and loss of vindication. There seems to be an element of purity in such moral motivation, not even possibly spoiled by the undergirding conviction that nothing genuinely good ultimately will be lost or unredeemed. What we find in these verses is at least the flavor of what Shook and Vonnegut are talking about: a willingness to sacrifice, pay a price, give up hope, do the right and loving thing with no guarantee it will work out. The implicit suggestion is that there is something profoundly right about the willingness to do this—the heroic, pure commitment to love and goodness. In none of these cases, of course, did God follow through; he didn’t slay Job, he didn’t allow Moses to sacrifice himself for the people of Israel, he didn’t cut Paul off from Christ. But the willingness of these men to remain committed to truth and goodness despite the risk that doing so might not be an ultimately vindicated and personally beneficial decision seems to be about the purest example of moral motivation imaginable. But, importantly, in each of these cases, theirs was the conviction that morality was real and that at the heart of reality was a God of unspeakable love and faithfulness. At the heart of Christianity is a paradox that resounds time and again: by being willing to lose our life we will find it. By caring about more than self-fulfillment, we will find it, and so much more. To find life we must undergo a dying process—not just a repression program or reprogramming exercise. Real death is called for before new life is possible. But the glorious news is that the death is not the end of the story, that just when things seem bleakest and darkest, there is hope and light. So personally I am left skeptical at the idea that there’s something sublime about committing ourselves to what the universe itself isn’t committed to; the “heroism” of such a thing strikes me as more appearance than reality. To me it simply makes more sense, if integrity and virtue and goodness are indeed things we think worthy of believing in—as I firmly believe they are—to believe in a universe that cares about these things too. This isn’t being mercenary; it’s following the evidence where it leads. It’s about believing in a universe that makes sense.